How do I find out my Build Number? 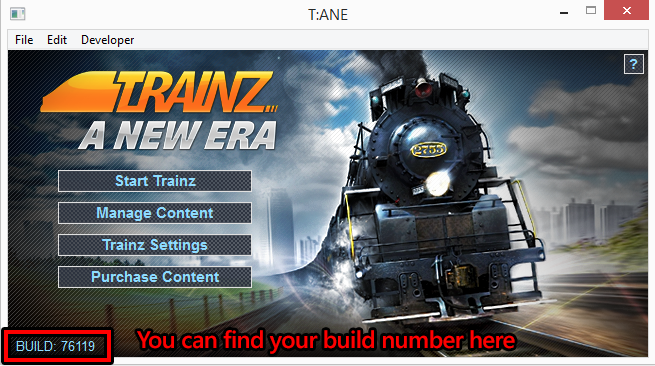 The build number is shown in the T:ANE Launcher which opens when you first start Trainz A New Era. The same applies to TRS19.